Hamaton will be showcasing their complete range of tyre valves and TPMS products at Autopromotec, Bologna from 22nd to 26th May. A dual frequency, configurable + programmable TPMS sensor that boasts 97% vehicle coverage with 100% potential and accompanying dual valves. The 6-207B Valve is Available Now. Hamaton distributes innovative TPMS solutions across the world, with bases in Europe, North America and Asia. Hamaton offers a comprehensive range of TPMS Diagnostic Tools, manufactured by market-leader, ATEQ. Hamaton is one of the largest manufacturers of traditional tire valves in the world, covering an extensive range of vehicle applications. See the latest news and developments from Hamaton. Hamaton Incorporated is the North American headquarters of Hamaton Automotive Technology Co. Ltd., a global leader in the manufacture and supply of traditional tire valves and TPMS products, for both OE and aftermarket. Located in Wixom, Michigan, Hamaton Incorporated is the North American TPMS technical center and distribution platform for the comprehensive range of Hamaton Automotive Technology products. Quality has been an overriding factor in Hamaton’s success, and Hamaton customers have the assurance that products manufactured by Hamaton are controlled by the strictest quality standards, certified by TÜV Süd and meeting the requirements of global OEM’s with ISO/TS 16949. Hamaton is committed to providing customers with the most innovative and complete TPMS and traditional valve solutions, together with market leading customer support, in the face of a dynamic and rapidly changing market. 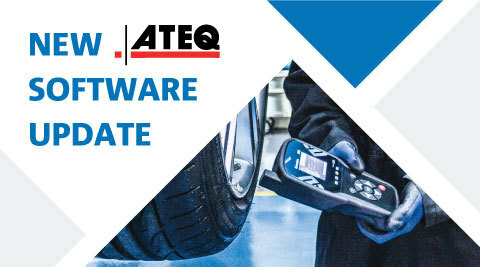 Global market-leader ATEQ, who manufacture Hamaton's TPMS tools have launched a software update for the H36 and H46.